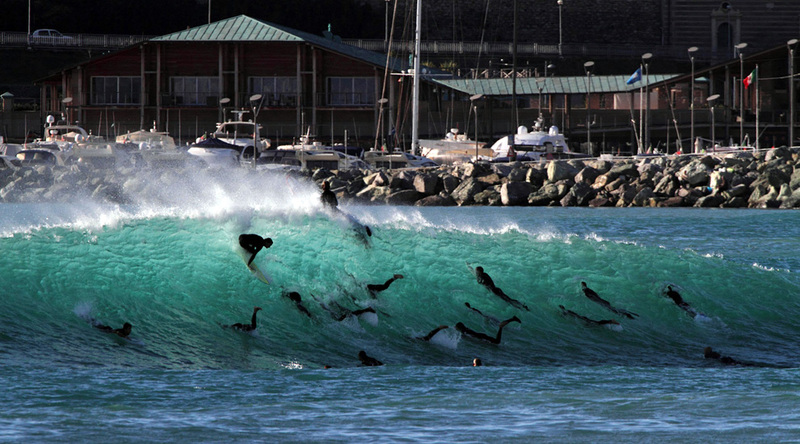 Here's our comprehensive guide on where to surf in Italy. Italy, the home of all things carbohydrate literally looks like a breadstick dipping in the Mediterranean Sea, and the peninsular has over 5000 miles of coastline. The Med is not renowned for generating monstrous weather systems or groundswells, but despite missing out on the title of ‘Ocean,’ it has over 900,000 cubic miles of water, so swell has a good chance of popping up. It helps to be chart savvy and have an eclectic quiver, but when you do find those precious little nuggs you’ll be laughing. And if you have a buddy with local knowledge it’ll help you no end to have their guidance. But until you make local friends, here are a few surf spots to check out if you find yourself in Italy. Winter. But there will be sporadic waves from autumn through to spring. Italy sometimes relies on strong onshore winds to push low-pressure weather systems towards its coastlines. These storms will have either travelled up across the Iberian Peninsular from the Atlantic Ocean, or been generated in the Western Med. Tracking them will be your best option for finding a decent swell and good quality waves. Tuscany’s entire coastline is a goldmine for Mediterranean gems. The old fishing village of Levanto sits atop a deep water bay that’s surfable when everywhere else is blown out or choppy. Its central peak always breaks as the largest, but two beachies either side also hold a good size for playful days and can reach double overhead on punchy S and NW storm swells. Further north you’ll find a potential barrel fest, as long as you’re willing to share. The manmade reef of Varazze produces pithy A-framed split peaks, long and mellow to the right and punchy to the left. The wave will break with onshore winds but works best with light offshores. Similar spots along that stretch of coastline will also light up on the same swell, so make a friend and hitch a lift whilst visiting for advice about secret spots. Spots in the NE Marche region around Ancona and Ravenna are really popular despite facing the narrower and shallower Adriatic Sea. NE storms are frequent and largely produce wind swells of choppier surf, but there are sheltered waves like Marina De Ravenna to be found. Breaking off the south side of a large harbour wall means the peak is protected from strong winds from the NE. Head further north still and you can surf within a few km of Venice’s canals. The Long beach of Punta Sabbioni offers a handful of peaks on the North side of its Pier, including a long right hander that works best in large S to SE swells and winds from the NW. Italy’s western Lazio Region hosts the capital city of Rome and is a surprisingly wave rich stretch of coastline. Surf spots less than half an hour away from the city bred Italy’s current CT hope, Leonardo Fioravanti, including Rome’s closest beach break, Lido Di Ostia. There are multiple peaks along this wide sandy stretch, which work best on a windless SW swell, but be aware that the waves can be decidedly average. If you’re looking for more consistency, head south to Artiglieria. This break in Sabaudia is a fast, peeling peak in SW swells and offshore winds with barrelling sections to tuck into. Further south still is the easy right-hander of La Spiaggia, a relatively uncrowded break at the end of Zambrone’s main beach. The local train station sits just a few streets back from the coast, so it’s an easily accessible reef break with only a few rocks to dodge. 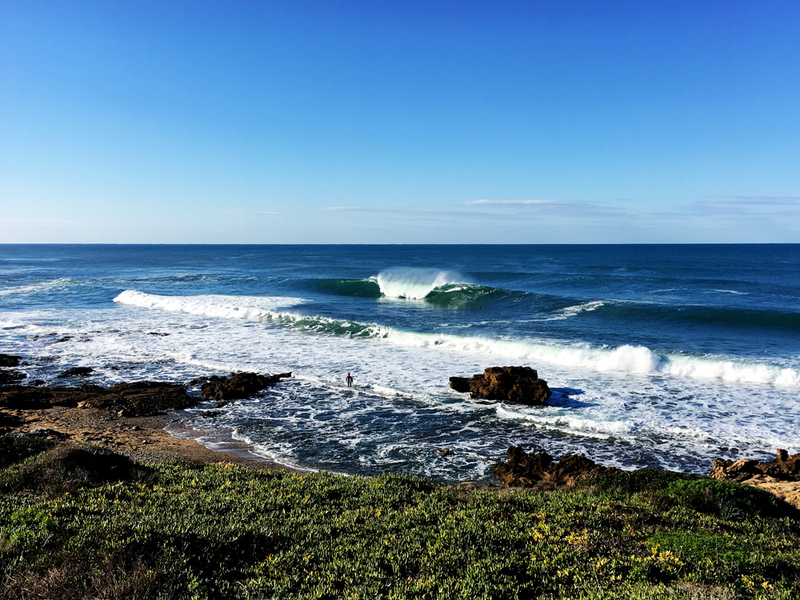 Waves here work best with a SW NW swell with winds from the E.
The west coast of Sardinia is Italy’s real wave magnet, catching swell before it reaches the mainland and producing arguably the country’s best waves. Silver Rock reef off Sardinia’s mid west coast creates barrelling lefts and super fast rights with swells between 2-12ft from the SW. The wave works even in onshore winds and is a reliable option away from big crowds if looking for chunkier surf. Manmade sand bars anchored to the sea floor at Rena Majore provide its long beach with several fun peaks to smash. The spot will handle swells between 2-8ft and works best with offshore easterly winds. But if you’re looking for super hollow point breaks, La Speranza is your place. The spot captures any westerly swell and shapes it into right-hand tubes that occasionally reach double overhead in height. This isn’t the place for anyone with less than an advanced level of surfing.